We manufacture and supply Under slung Crane whose construction consists of the bridge girder fitted to end trucks operating on the lower load carrying flange of the runway girder usually supported from the building roof trusses. We, at Mega Cranes India (P) Ltd., offer Under slung Cranes in both Single Girder and Double Girder construction, either EOT / Semi EOT depending upon the load carrying capacity and the crane span. These are available in manual operated as well as electrically operated crane motions. Under slung Cranes are also known as Transfer Cranes since they can be used to transfer loads form one bay to another either directly from the crane to crane or by fixed transfer sections. 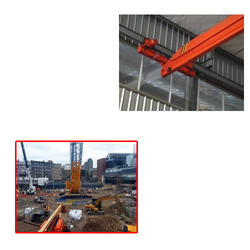 These cranes normally find applications where the load is to be transferred from one bay to another, as this type of load movement is not possible with the conventional top running EOT cranes. 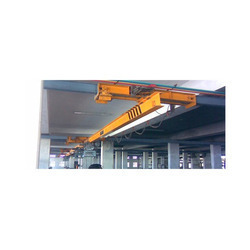 We are the leading manufactures and suppliers of Under Slung Crane in Coimbatore, Mettupalayam, Salem, Tirupur, Pollachi, Trichy, Salem, Erode, Madurai, Tirunelveli , Chennai, Nagarkovil, Kanniyakumari, Tuticorin, Namakkal, Vellore,Theni, Dindugul, Ooty, Kunoor, Valparai, Kodaikanal, Kannur, Kozhikode, Malappuram, Palakkad, Wyanad, Kasargod, Kalpatia, Thrissur, Eranakulam, Iduki, Kootayam, Alapuzha, Kollam, Thiruvananthapuram, Patmanathitta, Kurnool, Anantapur, Cuddapah, Nellore, Chitoor, Prakasam, Guntur, Krishna, West Godaveri, East Godaveri, Vishakapattinam, Chikmangalur, ChitraDurga, Hassan, Tumkur, Mandya, Bangalore, Kodagu, Mysore, Kolar, Tamilnadu, Karnataka, Andrapradesh, Kerala and India..
We are occupied in offering optimum range of Underslung Cranes for Construction Site to our clients. Additionally, client can get the offered products from us at very economical prices. We are the leading manufactures and suppliers of Under Slung Cranes For Construction Site in Coimbatore, Mettupalayam, Salem, Tirupur, Pollachi, Trichy, Salem, Erode, Madurai, Tirunelveli , Chennai, Nagarkovil, Kanniyakumari, Tuticorin, Namakkal, Vellore,Theni, Dindugul, Ooty, Kunoor, Valparai, Kodaikanal, Kannur, Kozhikode, Malappuram, Palakkad, Wyanad, Kasargod, Kalpatia, Thrissur, Eranakulam, Iduki, Kootayam, Alapuzha, Kollam, Thiruvananthapuram, Patmanathitta, Kurnool, Anantapur, Cuddapah, Nellore, Chitoor, Prakasam, Guntur, Krishna, West Godaveri, East Godaveri, Vishakapattinam, Chikmangalur, ChitraDurga, Hassan, Tumkur, Mandya, Bangalore, Kodagu, Mysore, Kolar, Tamilnadu, Karnataka, Andrapradesh, Kerala and India..
We introduce ourselves as the prominent manufacturer, trader and supplier of Underslung Cranes. Our offered cranes are used for conveying a variety of industry material from one place to another. 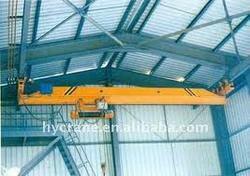 These cranes are inspected in terms of quality so as to dispatch a defect free range. As well, we are giving these cranes to our customers on diverse specifications as per their needs in a committed time frame. We are the leading manufactures and suppliers of Underslung Cranes in Coimbatore, Mettupalayam, Salem, Tirupur, Pollachi, Trichy, Salem, Erode, Madurai, Tirunelveli , Chennai, Nagarkovil, Kanniyakumari, Tuticorin, Namakkal, Vellore,Theni, Dindugul, Ooty, Kunoor, Valparai, Kodaikanal, Kannur, Kozhikode, Malappuram, Palakkad, Wyanad, Kasargod, Kalpatia, Thrissur, Eranakulam, Iduki, Kootayam, Alapuzha, Kollam, Thiruvananthapuram, Patmanathitta, Kurnool, Anantapur, Cuddapah, Nellore, Chitoor, Prakasam, Guntur, Krishna, West Godaveri, East Godaveri, Vishakapattinam, Chikmangalur, ChitraDurga, Hassan, Tumkur, Mandya, Bangalore, Kodagu, Mysore, Kolar, Tamilnadu, Karnataka, Andrapradesh, Kerala and India.. Looking for UnderSlung Cranes ?